1. Oil and preheat your waffle iron. 2. In a bowl, whisk the eggs, sugar, salt, vanilla and yogurt together until combined. 3. In a separate bowl, sift and mix the flour and baking powder. 4. Pour the wet ingredients into the dry ingredients and stir until combined. The batter should be a thick consistency. 5. 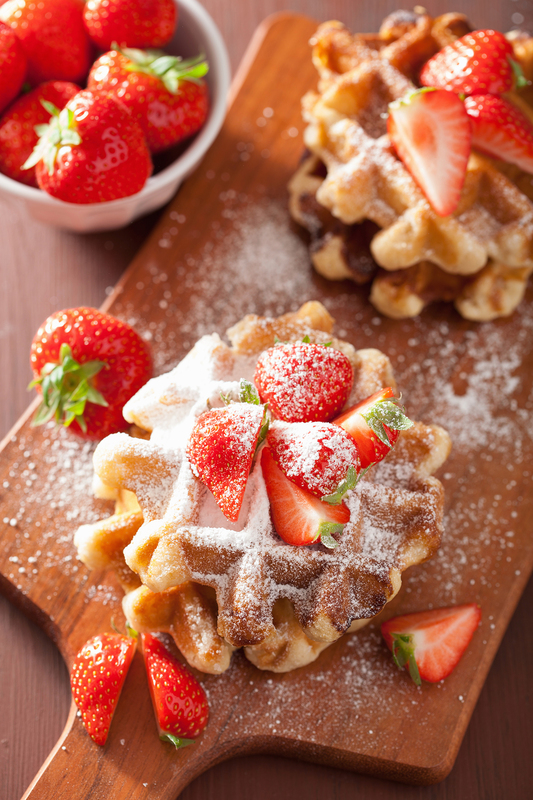 Pour or scoop the waffle batter onto the waffle iron and cook until crispy and golden brown. 6. Remove cooked waffles and repeat until waffle batter is finished, re-oiling the iron as needed.